Gay, Lesbian and Gay-Affirmative Chorus of Charlotte. 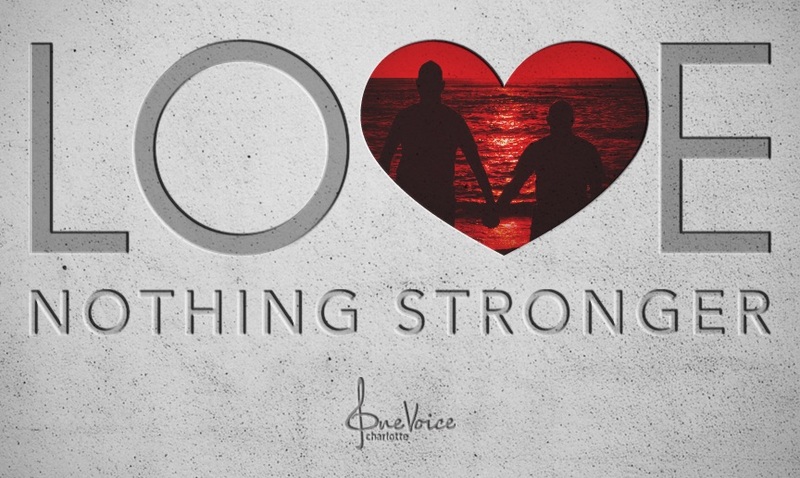 Want to help keep the music and the mission of One Voice Chorus going strong? Join our Encore! monthly giving program or make a one-time tax-deductible gift. « Sing with us as we kick-off our 2018-2019 season! Everyone is welcome in One Voice. No auditions required! Our singers come from all walks of life – in all shapes, sizes and shades. It’s this diversity that makes our organization strong and helps present a positive LGBT face and voice to the public. We are your friends, neighbors, coworkers and family. We kick-off our 2018-2019 season with our holiday show Love Came Down. Our first rehearsal is Tuesday, September 4th. If you can’t make it on the 4th, we will accept new members on September 11th and September 18th as well! Join us and be a part of one of Charlotte’s largest gay cultural organizations! Sing music that changes lives (maybe even your own), to make new friends, to discover talents you didn’t know you had, and to enjoy the talents of others! This is self-discovery, its community-building, and its great singing! Log in • © 2019 One Voice, Inc. a 501(c)(3) organization.